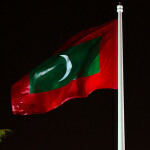 Muhthaz Muhsin and Ahmed Nihan were jailed over an alleged attempt to kidnap the president. 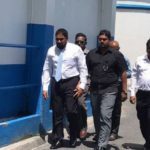 The criminal court is due to reach a verdict next Sunday in the stalled trial of jailed former prosecutor general Muhthaz Muhsin and former magistrate Ahmed Nihan. They were convicted of terrorism in 2016 and sentenced to 17 years in prison. 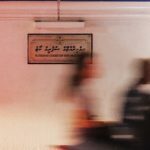 They were arrested for conspiring to kidnap President Abdulla Yameen with a fraudulent arrest warrant. 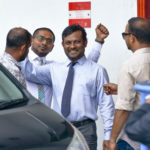 Aside from terrorism, Muhsin was charged with two counts of forgery and Nihan with two counts of unduly using his official duties and one count of forgery. After months without a hearing, Judge Ahmed Hailam wrapped up the trial and announced that a verdict will be issued next week. The pair previously denied all the charges. Hailam said Sunday’s hearing was scheduled to follow procedure as there had been a change of judge. He overruled motions by lawyers to dismiss the charges. He said the criminal procedures law does not allow the dismissal of charges during the final stages of the trial. The prosecution did not object to the motion, but agreed with the judge. They urged him to deliver a verdict. 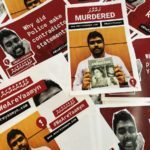 Hailam scheduled a hearing for Sunday and cancelled two arrest warrants issued in connection with the charges. Last week, the High Court denied a request to grant bail for the ex-magistrate as he was ineligible due to the terrorism conviction. 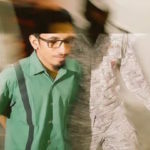 Photo of Nihan arriving at court from Twitter.